The material and techniques of the International Budo Institute are divided between the Karate / Jujutsu techniques (empty hand) and Kobudo (weapons) trainings. The system of empty hand training studied at the Institute is Bubishido. The system of weapons training studied at the Institute is Dai Kuu Ryu Kenjutsu, The Great Void Sword School. 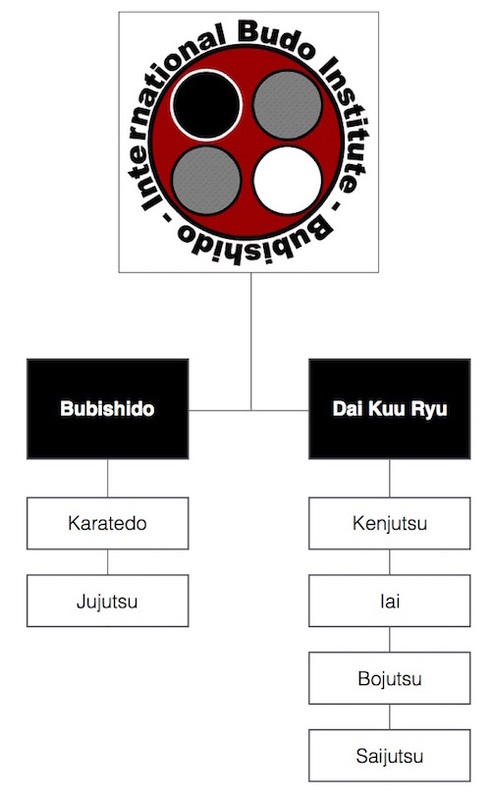 Bubishido and Dai Kuu Ryu are registered names of the International Budo Institute.